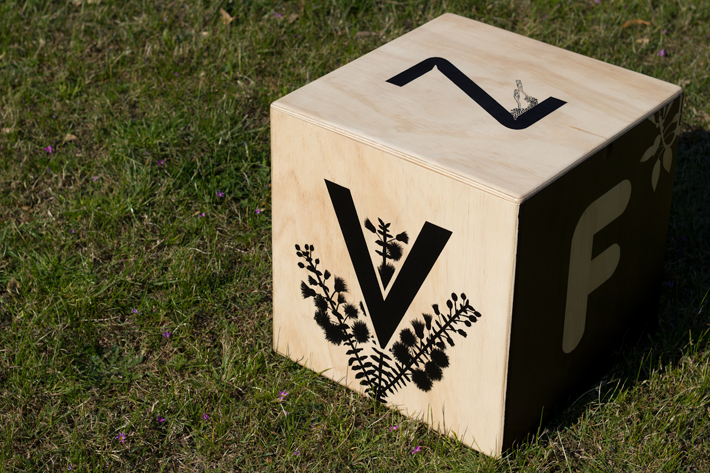 Genotype is a series of six storage and seating cubes that playfully reference children’s alphabet blocks. 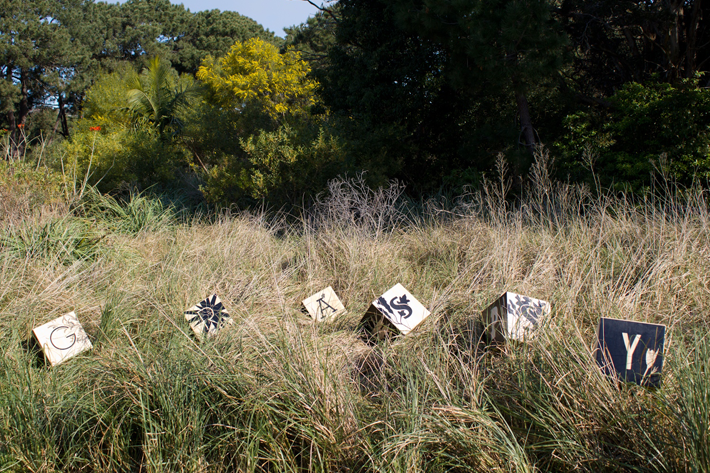 Designed and made by Ben Elbourne and Sarah Spackman, each cube features hand-painted illustrations depicting Australian native plants intertwined with typefaces to represent the 26 letters of the basic Latin alphabet. 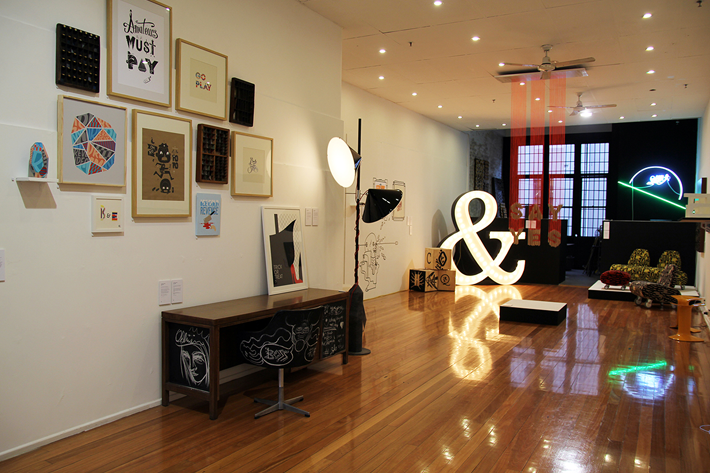 Both the plant species and typefaces begin with the letter they have been chosen to represent. 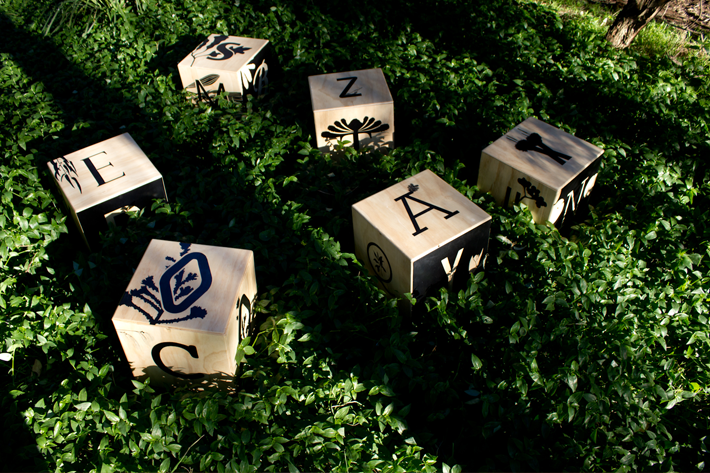 Designed for use and play, letters were assigned to the faces of the cubes according to their frequency of use in the English language, thus maximising the possibility of word-forming combinations using letters from all six blocks. The series is constructed and painted by hand using reclaimed plywood, informed by the size, quantity and qualities of the repurposed materials. 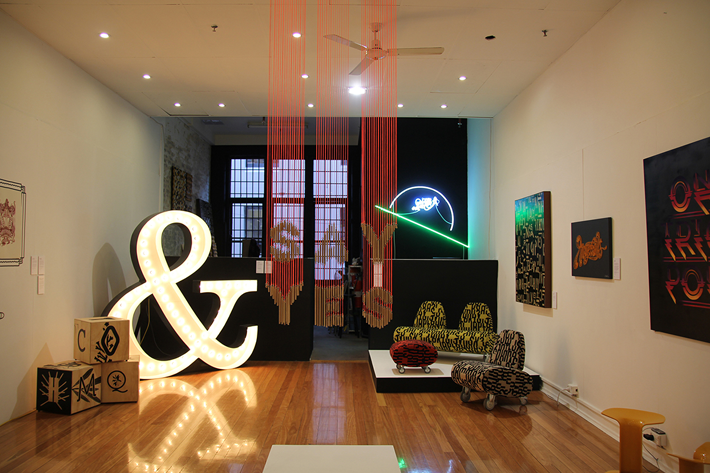 Genotype was part of the exhibition ‘Who Shot the Serif’ at He Made She Made, Sydney, August 2012.